Once you know the differences between the marketing types and how they can work together you will be able to identify the right marketing approach for your business needs. Let’s start with a basic comparison between inbound marketing and content marketing, as these two types are currently being used a lot. So, what is the difference between inbound marketing and content marketing? The simplest explanation is always the best: Inbound Marketing provides a complete methodology for companies selling products and services. It helps these companies to tailor their marketing to better fit their target audience. It is characteristic of almost every target group that the potential customers do not want to be disturbed or interrupted in the information process (customer journey). Therefore, inbound marketing mainly includes tactics that lead potential customers to the company based on their search patterns. Persons whose search behavior does not correlate to the company’s products and services are not addressed. It provides a systematic approach to turning these anonymous visitors into leads (of all shapes and sizes) and then helps maintain those leads until they’re ready for sale. Inbound Marketing provides real-time data and insights that can be used to continuously improve performance and results. 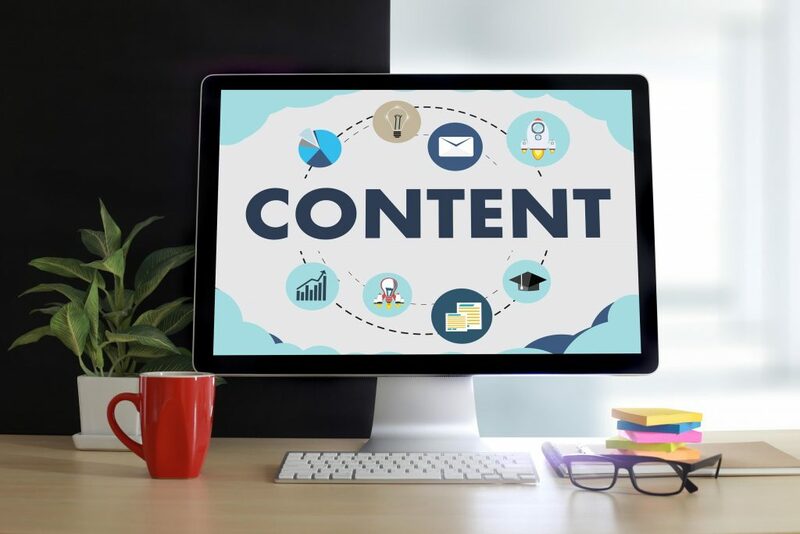 Experts define content marketing as a strategic marketing approach designed to create and distribute valuable, relevant, and consistent content to attract and retain a well-defined audience – and ultimately promote profitable customer behavior. In short: content marketing does not include email marketing, event marketing, or other types of marketing, while inbound marketing involves a variety of different marketing tactics. Inbound marketing needs content to work, so inbound marketing and content marketing work together as components. We can not do inbound marketing without a content strategy and without actual content in all shapes and forms. You need blog articles as well as ‘rich’ content such as eBooks, videos and social media content, content for web pages etc. But it goes much deeper than that. Inbound marketing is a metric and result-oriented methodology, so you want content to increase outcomes (e.g., leads). In essence, content marketing is tightly connected to the conversion strategy. Inbound marketing produces results by using content to turn site visitors into leads, so the focus is on optimizing that content and conversion. If you just create some content, post it on your website to attract a target audience, you could do that – but you would only do half of the necessary work. It would be like a doctor diagnosing your symptoms but never giving you the treatment plan. Content marketing is just part of a complete inbound marketing strategy. Yes, you need content marketing, but you also need a whole host of other inbound marketing tactics to see the results you want. Visit BehaviourExchange to find out how to optimize your inbound marketing strategy in a simple, efficient and cost-effective way! Emotions in marketing: Learn how to reach your customers’ hearts! 0 Comments on "Content marketing vs. inbound marketing: What is the difference?"